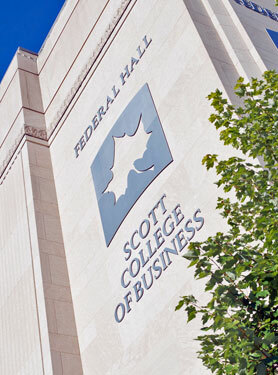 The Networks Professional Development Program and Indiana State University's Scott College of Business collaborated to incorporate ethical awareness and corporate social responsibility in the classroom for an entire week, known as Ethics Week. The week began with a day-long student-led and student-focused conference, followed by day and evening events throughout the week. Students and professors engaged in classroom discussions throughout the week. Also, student organizations hosted special evening events including a lively ethical competition, various industry and faculty speakers, and presentations on key ethical issues in the business world.